The goal is to dress for yourself, but not ever be embarassed to leave the house and never try too hard. I just looked at her website. The designs are beautiful and simple, but my favorite part was reading the "about" section. It was very thoughtful. Her designs and her words match up perfectly. Can't say I have always been a fan of jumpsuits, but this one is awesome. The color and slight dropped waist make it flattering! Cute. Emily is one of my favorite local designers. Love her clothes and love her outfit! And Bello is pretty handsome himself. Aww, I know Emily and Bello. They are so cute!! officially in love with the name "Bello" for a dog! She looks fabulous in that jumpsuit! Great shot - composition. Love it. I love this! 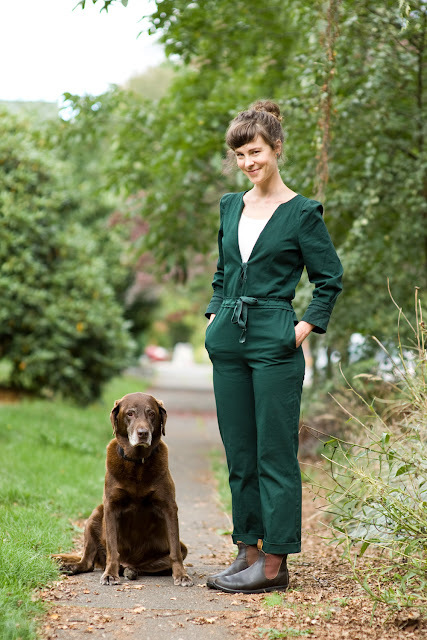 Her jumpsuit is so adorable and I love that her pup posed for the shot too. Awwww.... you're so good. my favorite color right now. love the jumpsuit! Wow guys! I'm so happy that you love Emily as much as I do. Soda Pop Girl: We're twitter friends too! Nice to see you over here as well. I look forward to reading your comments! KiraLynn: It's wonderful. 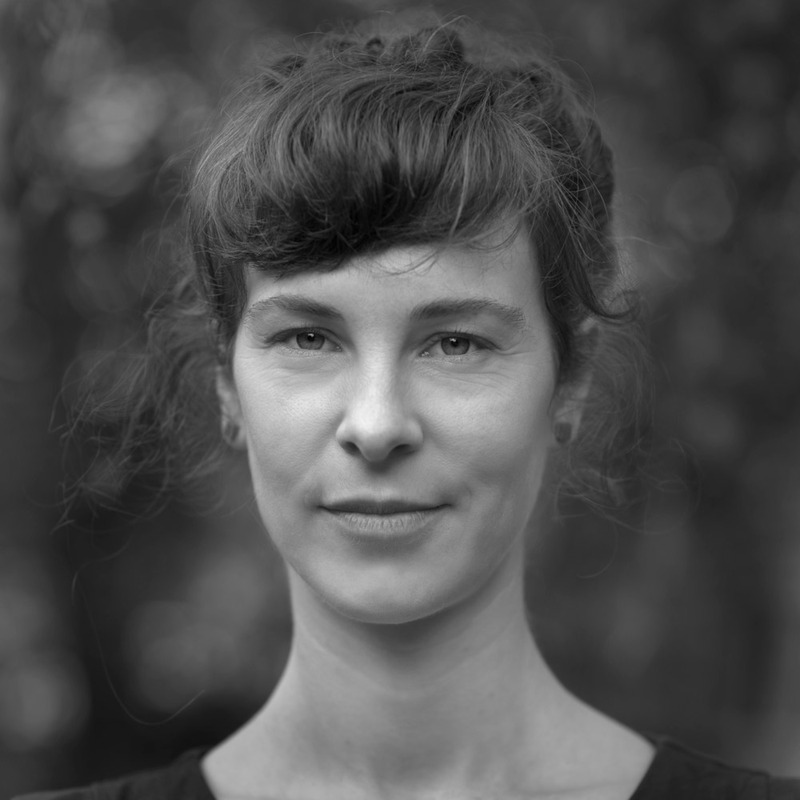 She's a beautiful person and a thoughtful designer. Heidi: It's darling. I hear 'Bella' a lot, but not 'Bello'. Adorable. Alice Olive: Hey, thanks! How sweet. One Silent Winter: Aww. Thank you! Jen: I found Emily through your blog. YOU'RE so good!!! emily is not only one of the most wonderful designers, but shes my favourite neighbor and a great friend, too. so glad to see her on here. after buying my first piece of clothing from her (finally) i cant stop thinking about what to get next. Megan: I bet! Her clothes are awesome, it would be very hard to choose. Green Gable: Me too. She's so amazing. Anusha: I think that outfit would also look beautiful on you too!